Mozilla Labs is debuting new personas today – extensions that add lightweight themed skins to your Firefox browser – enabling you to personalize your user experience according to your mood without interrupting your browsing sessions. 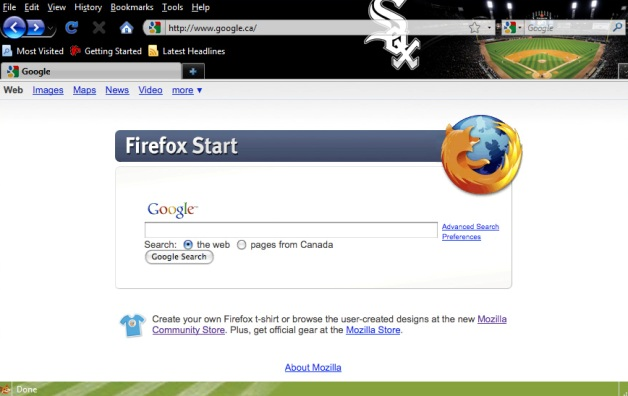 The Personas for Firefox add-on was first introduced in late 2007, but has now expanded to include hundreds of artist-created designs in a variety of categories, according to a blog post announcing the new sets. I like custom skins / themes and the fact that Mozilla is taking steps to make it easier for people to adjust the look and feel of their browser according to their mood, but somehow the announcement made me cringe a little (much like this Labs experiment did). I would rather see Mozilla focus on improving the speed and usability of its browser than offering its users ways to add eye candy, particularly now that the browser wars are heating up again. Firefox needs more innovation, not decoration. But then that’s just me. Some people love eye candy more than speed.